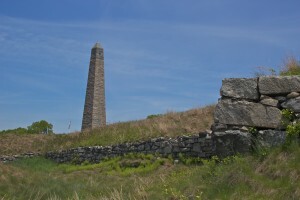 Local residents killed and wounded during the American Revolution’s Battle of Groton Heights are honored with a large granite obelisk near the site of Fort Griswold. 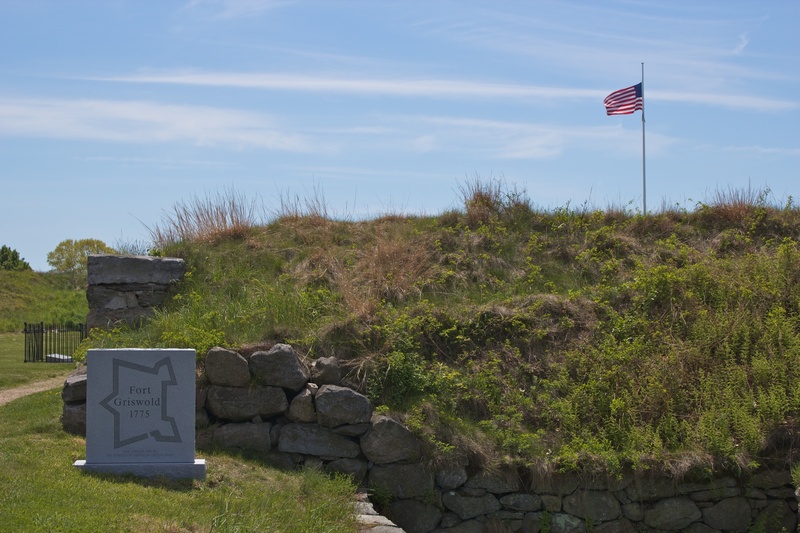 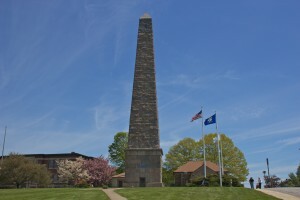 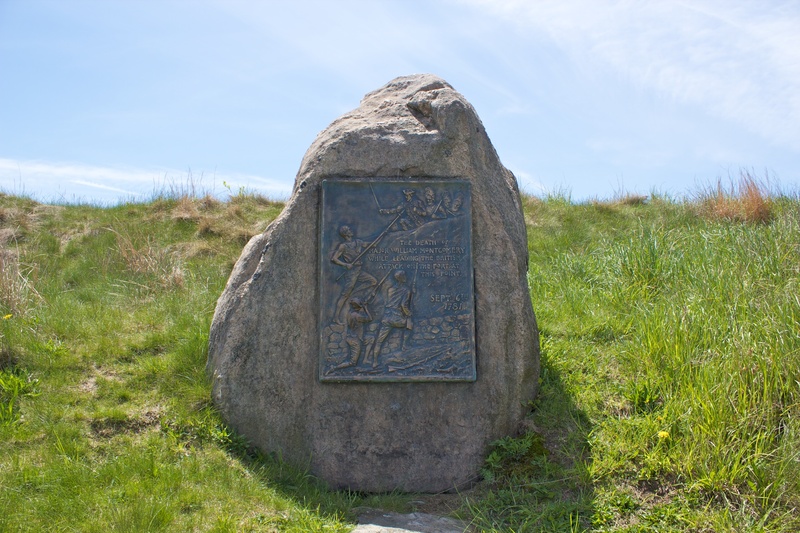 The Groton Battle Monument, dedicated in 1830, honors the more than 80 men killed defending the fort during a British raid on September 6, 1781. 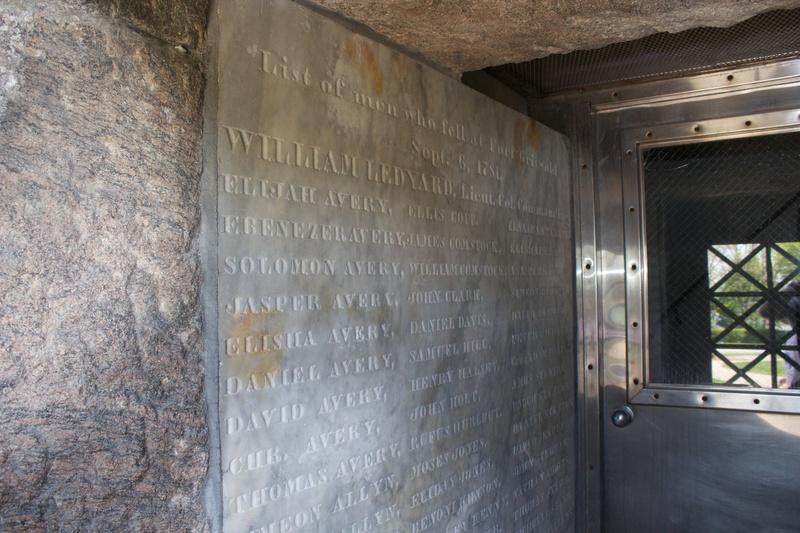 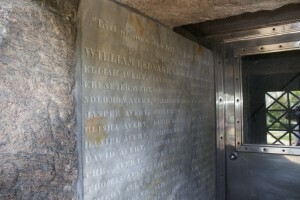 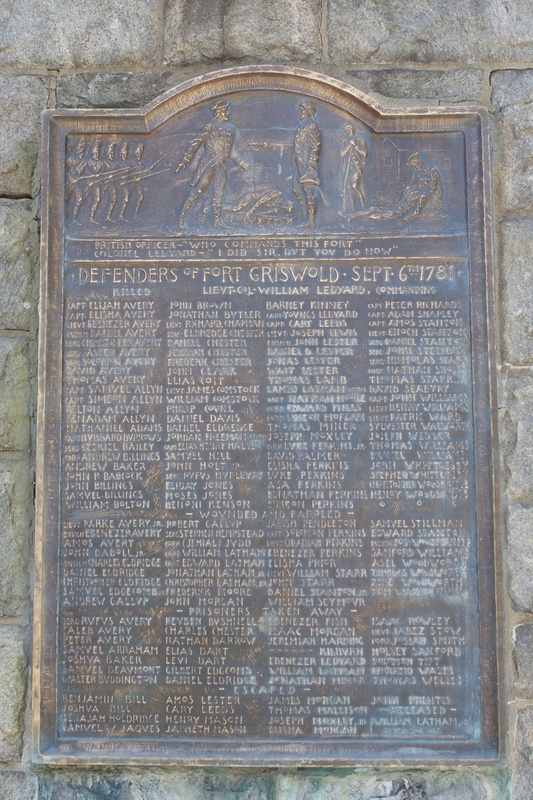 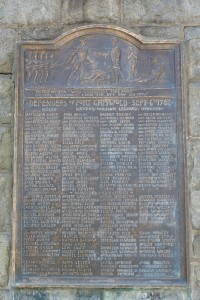 The dedication plaque inside the monument’s entranceway list the names of American defenders killed during the battle. 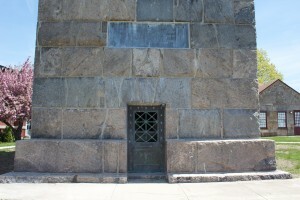 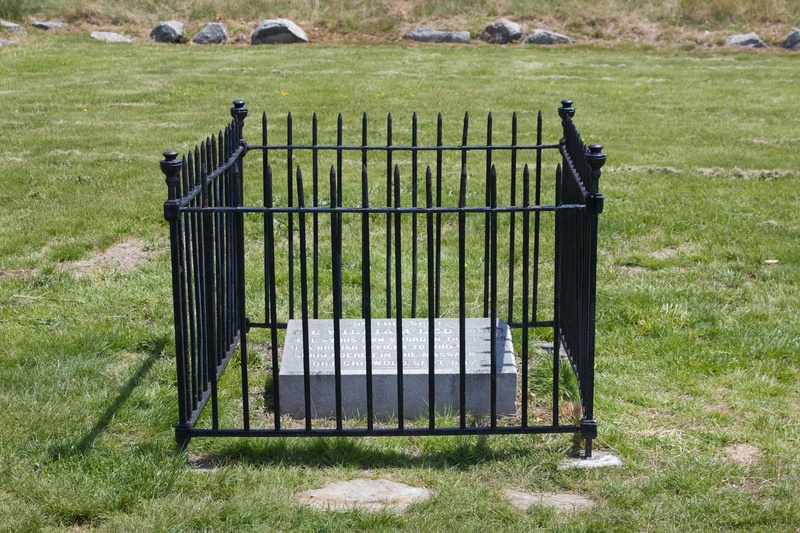 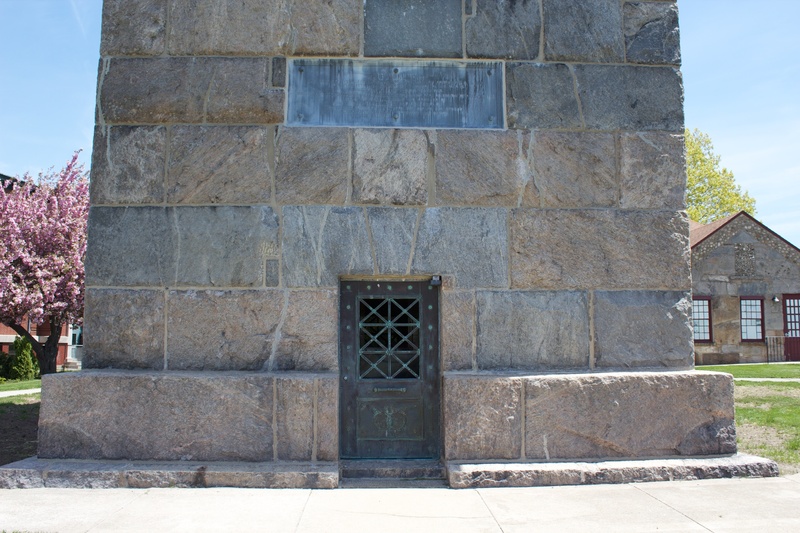 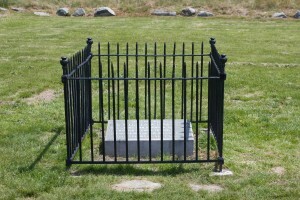 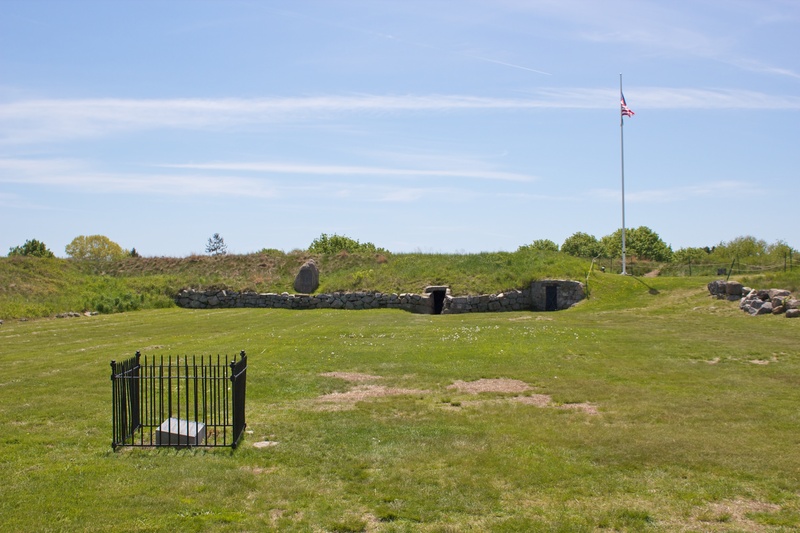 The marker was originally part of the monument’s south face, facing the fort, but was moved to protect it from the elements. A large cannon near the monument’s west face was captured from a Spanish warship during the Spanish-American war. 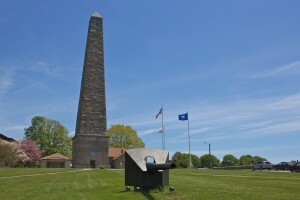 A small museum next to the monument, closed during our visit, has displays about the history of the monument and the battle. 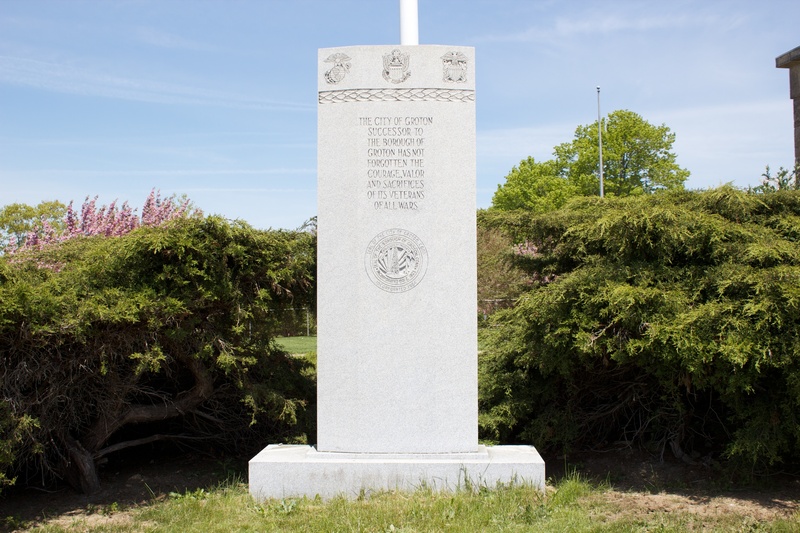 An undated monument erected by the city of Groton honors all local war veterans. 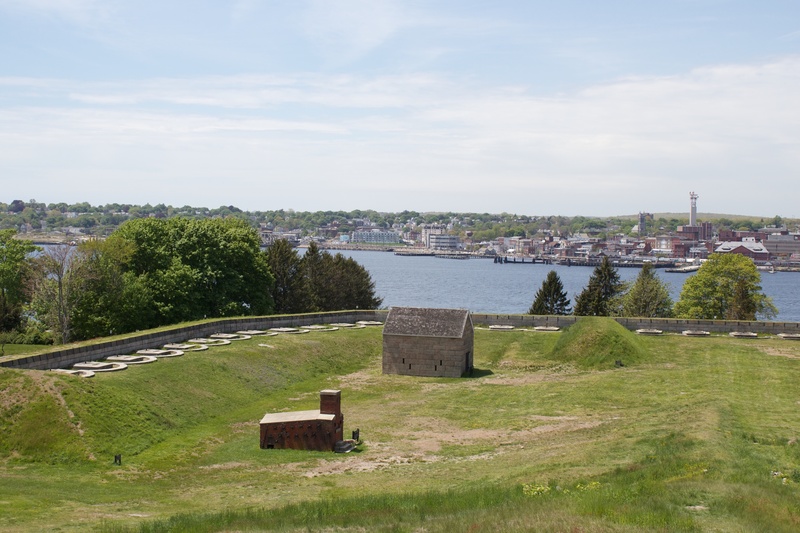 Across the street from the monument, the site of the former Fort Griswold has been turned into a state park. 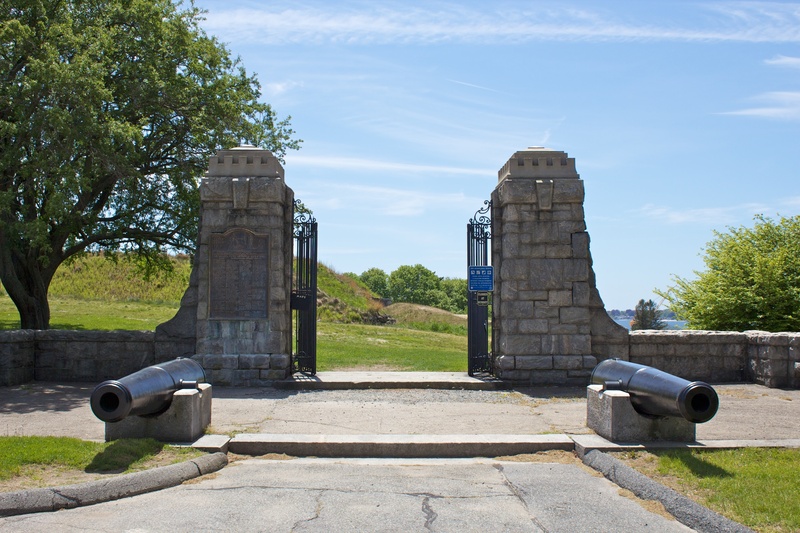 A memorial gateway, dedicated during the park’s opening on September 6, 1911 (the 130th anniversary of the battle), lists the 165 men who attempted to defend the fort against approximately 800 British troops during the battle. 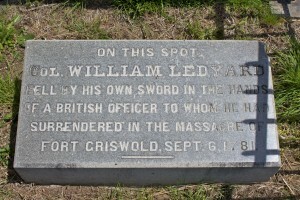 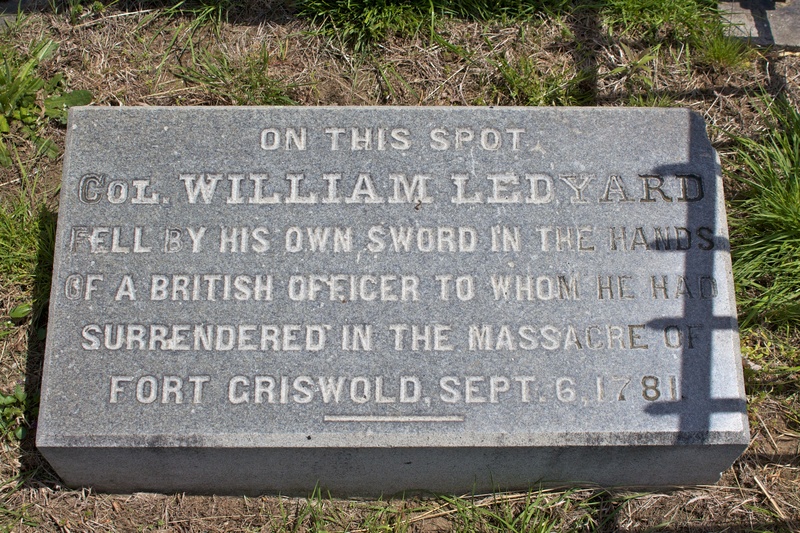 A monument near the south end of the courtyard indicates where British Maj. William Montgomery was killed leading a bayonet assault against the fort. 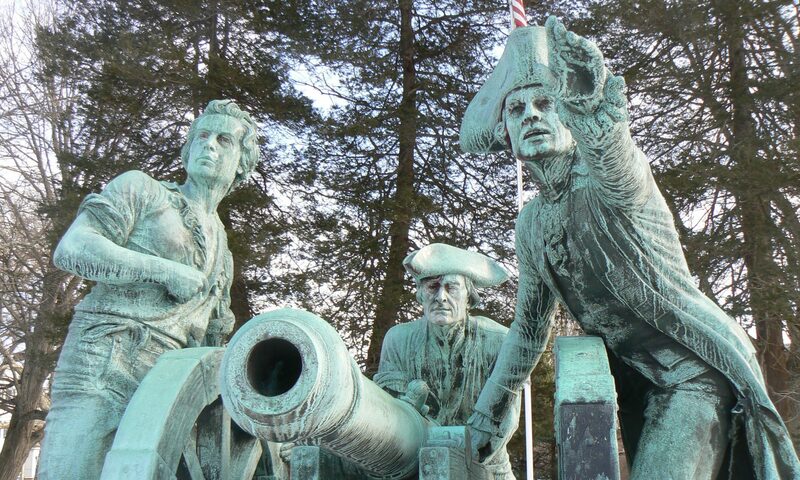 During the battle, British troops guided by Norwich native and traitor Benedict Arnold invaded New London harbor. 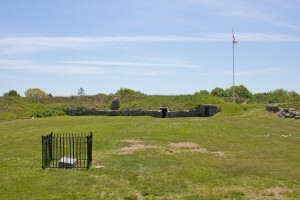 The city had served as an important supply base, and privateers operating out of New London had captured a number of British merchant ships. 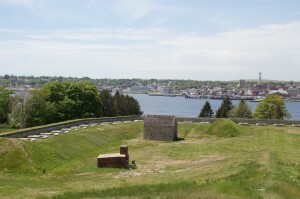 More than 140 homes and buildings in downtown London were burned by the British invaded invaders, as were 19 homes on the Groton side of the harbor. 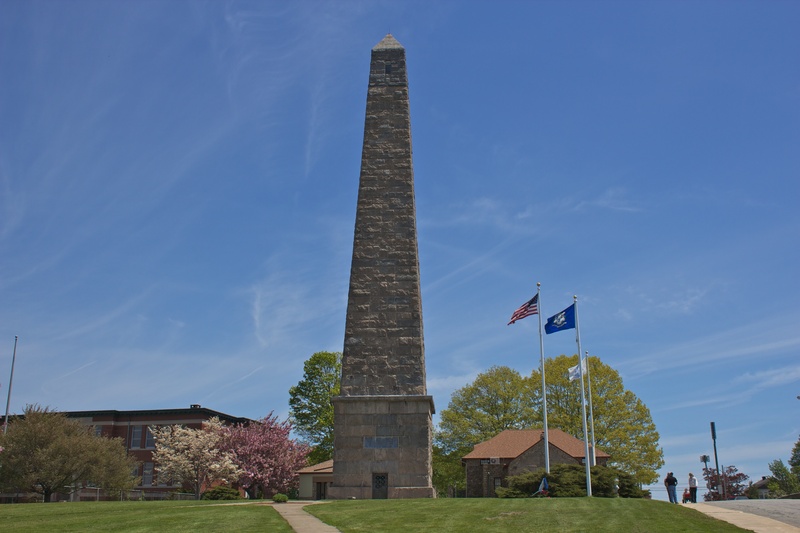 Next to the Groton Battle Monument, a 1916 monument honors Groton’s Civil War veterans.